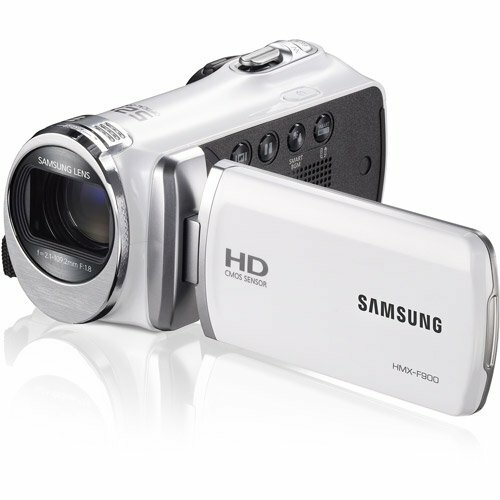 A camcorder is the best asset for anyone who loves taking videos, especially when on the move. Some camcorders also support the functionality of taking still photos. Choosing the right digital camcorder can help you create everlasting memories. This involves paying attention to various parameters such as video resolution, zoom lens, media and video formats, exposure control, frame and bit rates and photo features to name just a few. 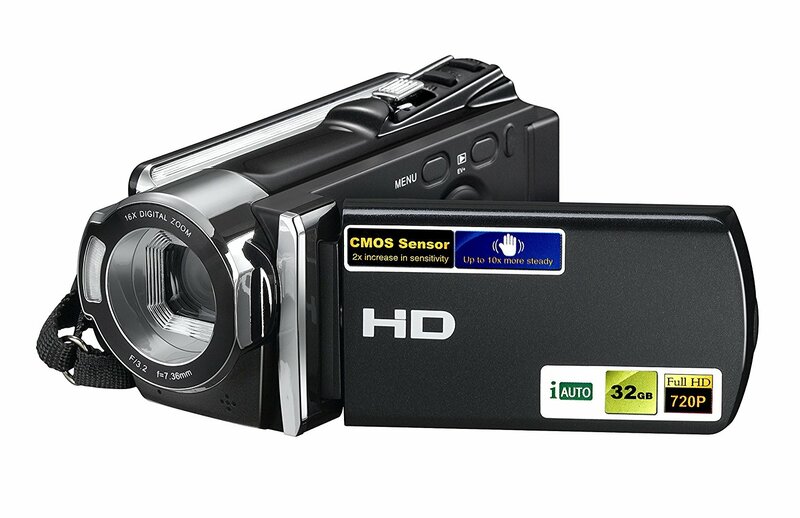 Interestingly, camcorders come in various price points based on the attributes that they support. If this is the first time that you are going to use a camcorder, we suggest that you opt for a lower end model until you are familiar with how to use it. The list below gives you some suggestions regarding the best camcorders under $300. 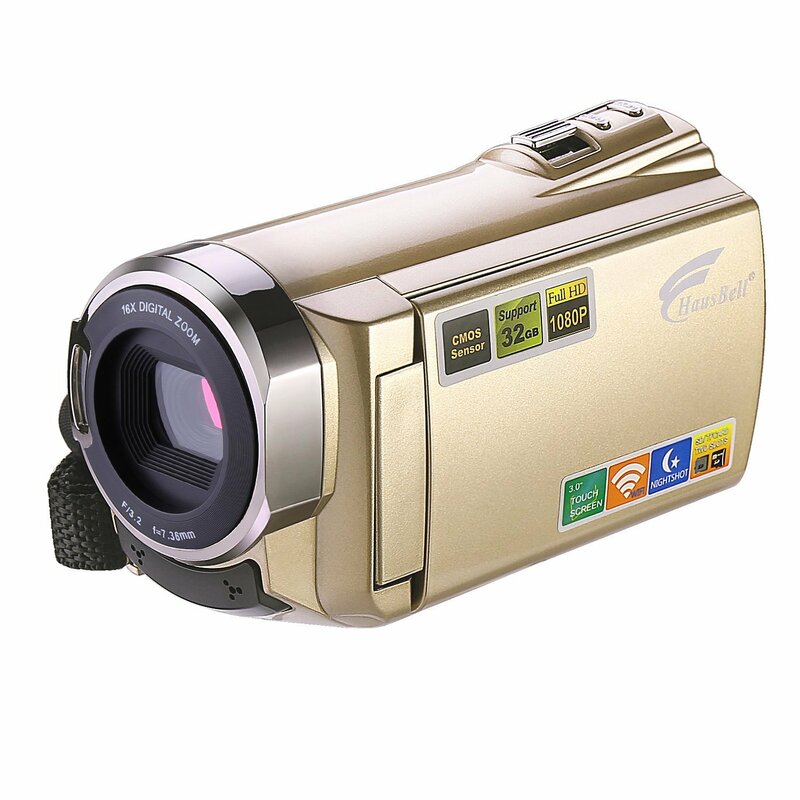 The lightweight camcorder comes with an easy to use interface and extensive zoom support. The Canon unit comes with a Canon 3.28 MP CMOS Full HD image sensor, a Digic DV 4 image processor and a 3” capacitive touch panel LCD screen. The image sensor captures videos with clarity in 1920 x 1080 resolution, while the image processor produces noise-free and bright images in dark scenes. The screen is clearly visible even in bright sunlight and the streamlined user interface allows you to shoot videos, choose focal points and track moving objects easily. The highlight is the priority mode supports backlight correction that retains the details in bright areas resulting in realistic and balanced footages. The device features 57x advanced zoom for dynamic variety videos, 1140x super range and digital optical image stabilization, 32x optical zoom and 1080 / 60p MP4 recording. It has a focusing distance of 1 m across the entire zooming range from the front edge of the lens and 10 mm at the wide end. The camcorder is available in black and white color variants. A recorder is a great option for those who want to save space on the unit and shoot Full HD videos directly onto a memory card. The powerful zoom functionality makes it ideal for people who want to record close-up, far shot and mid-range videos. The unit is worth considering by those who want to explore different recording styles with fast and slow recording options. 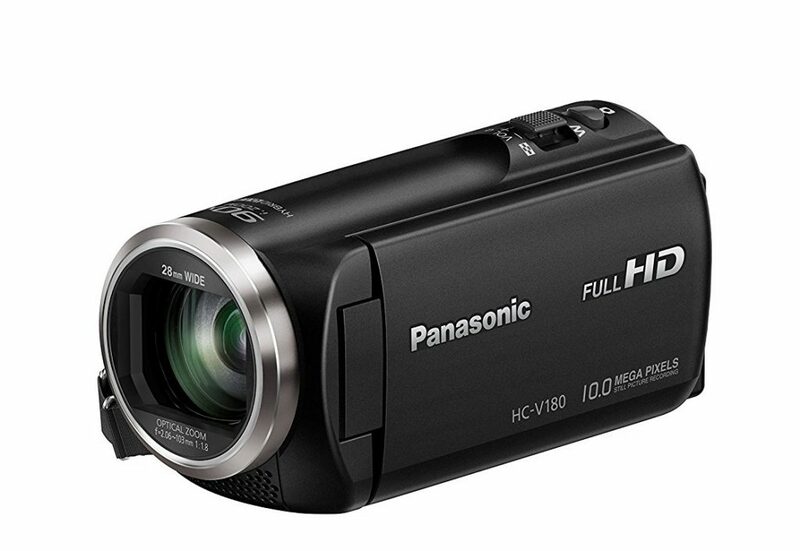 The Panasonic camcorder records super-sharp 1080p Full HD videos. The unit incorporates a 2.7” LCD responsive touchscreen, BSI sensors and a two-channel microphone. The BSI sensors produce quality videos in low light. The microphone adjusts recording volume automatically helps in recording audio with crispness and clarity even from a distance. The device supports filter effects such as time-lapse recording, miniature effect, 8 mm movie and silent movie to add creativity to your videos. The black unit also features 90x zoom with 5-axis hybrid optical image stabilization for maximum handheld stability and 50x optical zoom. People who would like to explore different filter effects for their shots must consider trying the Panasonic camcorder. The level shot function makes the device a good choice for adventure lovers who would like to indulge in recording as they are climbing or hiking, because of its ability to automatically detect and compensate for camera tilting.. The video camera camcorder has a TFT LCD screen with 270-degree rotation capability and two white LEDs in front of the camera. The Sosun device captures 24M 6000 x 4500 resolution images in JPEG format and AVI 3.0 format videos in three resolutions – FHD 15 fps 1920 x 1080, HD 30 fps 1280 x 720 and 30 fps 640 x 480. It has an internal microphone to record sound videos and allows you to insert a memory card with a maximum 32 GB capacity. (You must first format the memory card with the camera before using it). The recorder also includes a USB 2.0 interface and a TV output for connecting to a computer with a USB cable or a TV with an AV cable. The unit is compatible with Windows 7 / 10 / XP / Vista and Mac OS operating systems. 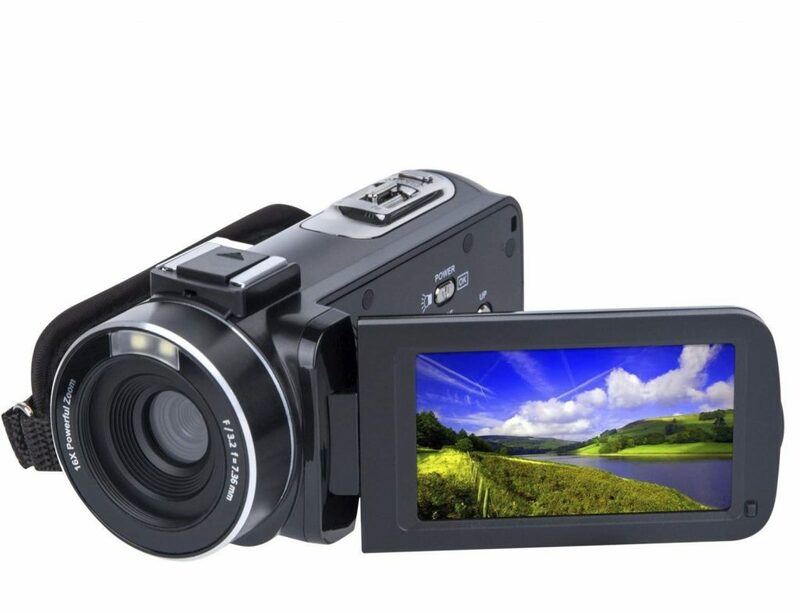 The black camcorder supports multiple functions like 16x digital zoom, smile capture, face detect, pause, auto power-off, date stamp and playback modes. The Pause function allows you to pause recording the camera video in between and continue from where you left off. It comes with a rechargeable Li-ion NP-40 1,200 mAh battery that allows you to capture your favorite shots while the device is charging. On a full charge, the battery renders uninterrupted recording for 2 to 2.5 hours. A lightweight feature is a good option for people who wish to hold the Sosun camcorder for long hours in their hand without getting tired. The simplicity of operation and the camera design makes the device worth considering by amateurs. The unit is ideal for those who wish to connect the same to both their computer and TV. 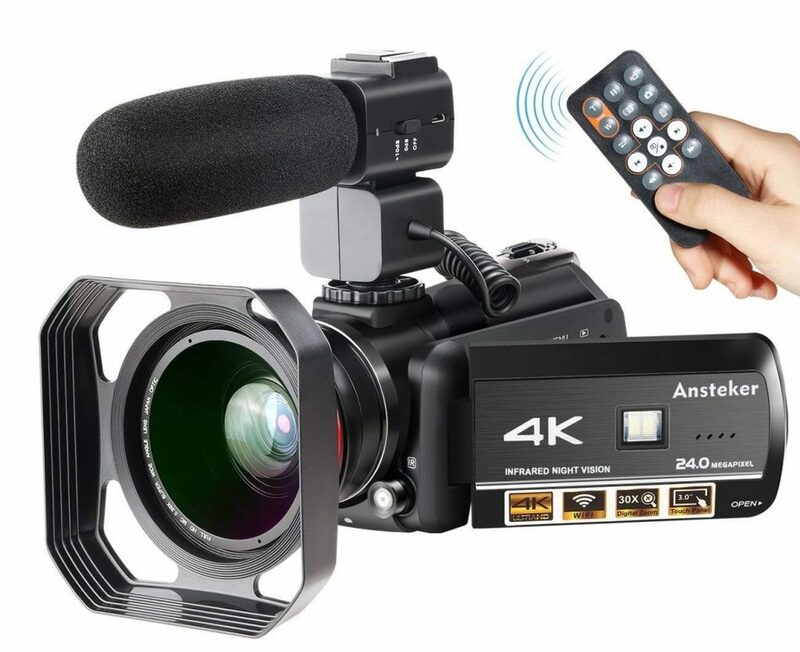 The Ansteker digital camcorder comprises a Sony CMOS 13 MP sensor, an LED light, a remote control, an external professional shotgun microphone, a 3.0” TFT LCD screen with 270-degree rotation and a 0.9x wide angle lens with hood. The microphone records high quality sounds with minimum noise and the lens hood captures backlight shots. The unit also includes HDMI, USB 2.0 and TV outputs and allows you to use memory cards of up to 128 GB. The 24 MP 30 fps recorder is capable of shooting high-resolution 4K, 1080p and 720p videos. To use the Wi-Fi function, you must first download and install the LzxViewer app on your mobile phone. The black device has a range of features including IR night vision and cut filter, 0.1x optical zoom, face capture, auto power-off and anti-shake. It comes along with AV/USB and HDMI cables, two Li-ion rechargeable lithium batteries and a padded camcorder pouch. 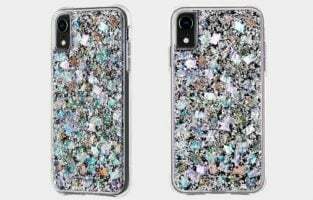 On a full charge, the batteries render a maximum duration of an hour and a half for taking videos and two and a half hours for taking photos. The Ansteker system is the best bet for those who enjoy capturing nighttime shots or videos. The recorder is ideal for people who would like to shoot videos in different resolutions. 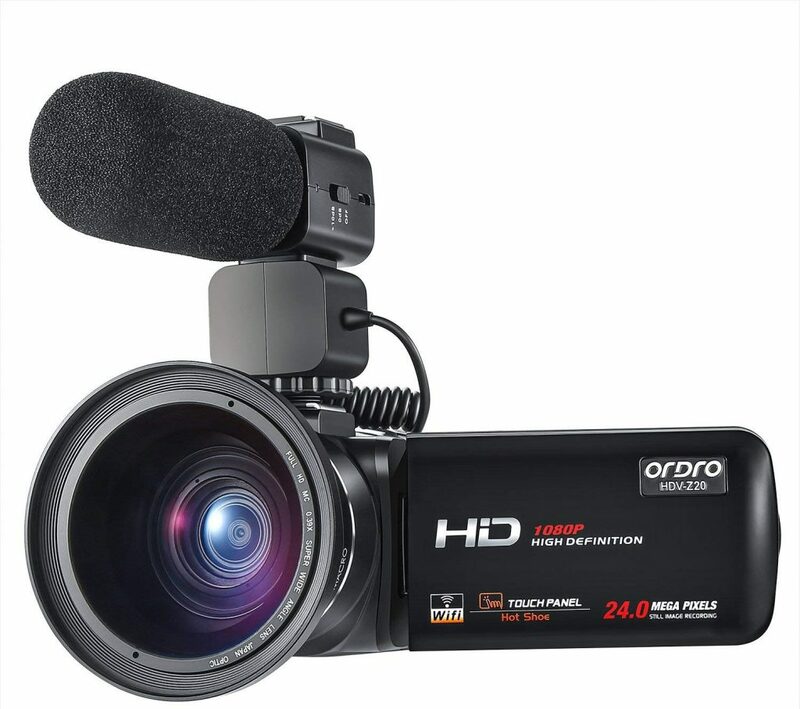 The camcorder has an 8 MP CMOS sensor, a hot shoe, a 3.5 mm external microphone input jack, a 3” TFT LCD screen with 270-degree rotation, HDMI and USB outputs, a 0.39 x 72 mm 2 in 1 HD wide angle lens, a remote control, a high quality upgradable rechargeable shotgun microphone and an LED light. The microphone cancels external noise and enhances the sound experience. The Ordro unit features inbuilt Wi-Fi, self-timer, auto power-off, unique face detection and anti-shake. The Wi-Fi works up to a maximum range of 9.8 feet. To use this feature, you must first install the LzxViewer app on your smartphone. The black recording device includes two lithium-polymer NP-40 1,250 mAh rechargeable batteries that allow you to use the camcorder even when it is charging. You must charge the batteries continuously for eight hours the very first time. After this, three hours is enough for successive uses. On the full charge, you can use the unit to take videos for two hours or photographs for 2.5 hours. The Ordro device is an ideal choice for those who want their videos and photos to depict maximum detail, thanks to the wide-angle lens. The auto power-off function makes people who tend to forget to switch off the unit, give the recorder consideration. 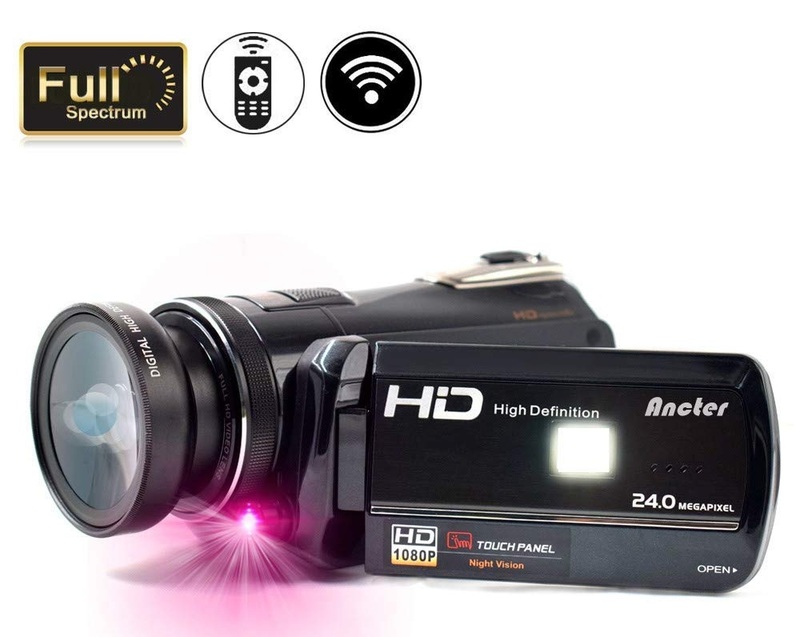 The Ancter unit is a full spectrum and colorful infrared camcorder with a Sony Exmor CMOS 1080p HD video recording sensor, a 3” TFT LCD screen that rotates at an angle of 270 degrees, high definition wide-angle lens, high-quality microphone, two high lumens LED fill lights (4-feet distance) and an ultra-bright infrared light (25-feet distance). The recording device features built-in Wi-Fi, self-timer, and face recognition, 18x digital zoom, electronic image stabilization and continuous shooting. The camcorder can shoot JPEG still images with 24 MP resolution and AVI images in three resolutions at 30 fps – FHD 1920 x 1080, HD 1280 x 720 and 640 x 480. It supports the use of memory cards of up to 64 GB capacity. The black recorder comes along with two rechargeable lithium batteries (standard and super powerful), a charger, a remote control, a lens cover, USB and HDMI cables and a padded camera pouch. The Ancter camcorder is especially suitable for people interested in paranormal activities such as ghost hunting, because of its powerful and bright LED fill and infrared lights. 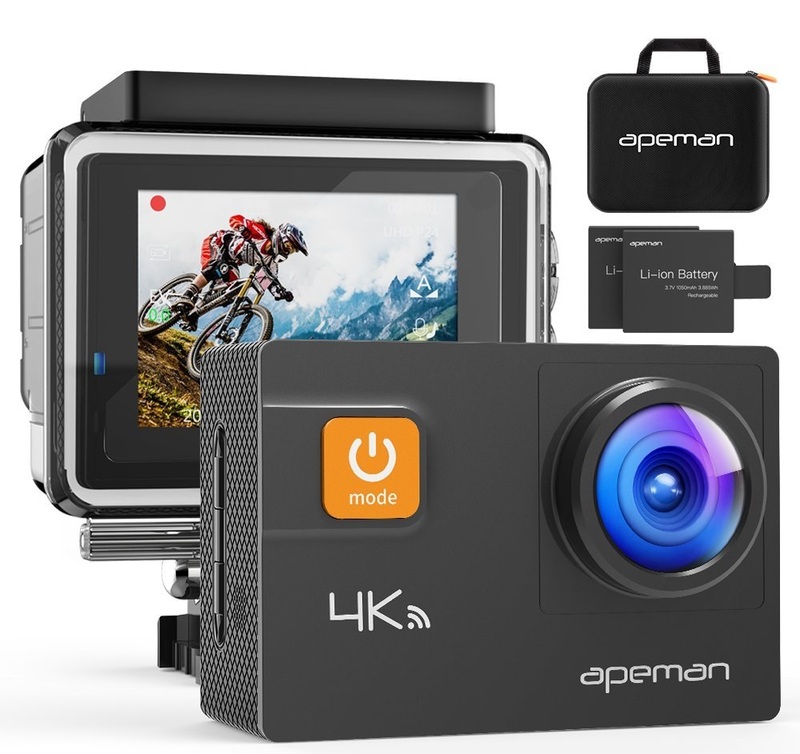 The Apeman recording unit has a 2” LCD display, a 170-degree wide-angle lens with Sony sensor, an inbuilt gyroscope for anti-shaking, a waterproof case and HDMI, AV and USB outputs. 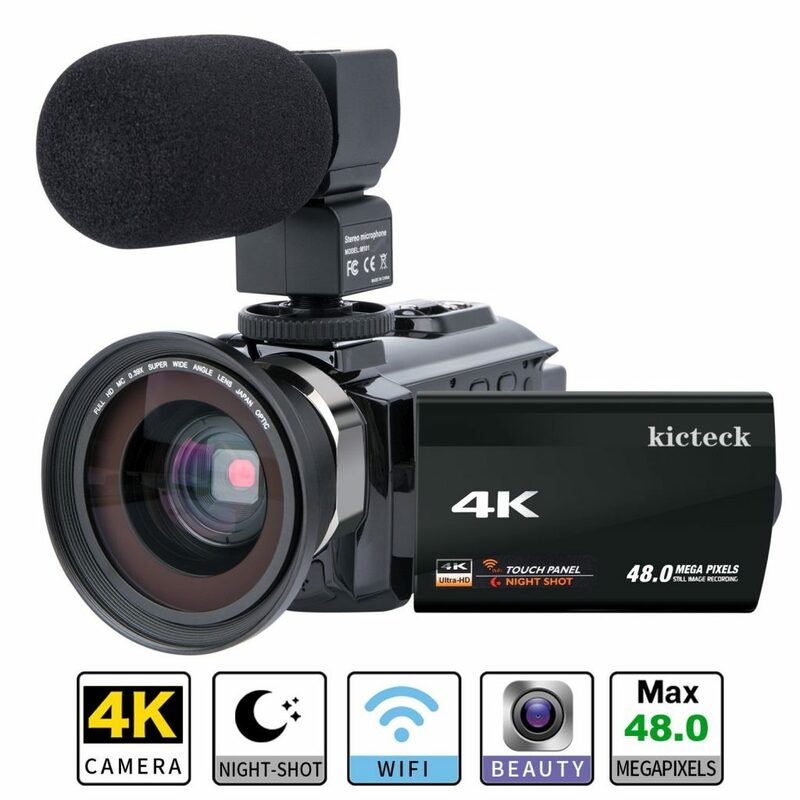 The 4K technology supported camcorder features built-in Wi-Fi, time lapse (1s / 5s / 100ms / 200ms / 500ms), diving, car, timer-shoot (single shot/self-timer) capture and loop recording modes. It shoots ultra HD videos and 20 MP photos with utmost clarity. 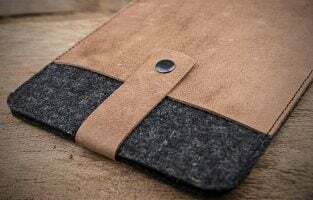 The device comes with two Li-ion 1,050 mAh batteries with 180 minutes recording time for 1080p videos and 90 minutes for 4K videos, a portable carrying bag designed for outdoor sports and 24 accessories that you might need outdoors. The waterproof case makes the Apeman unit an ideal accompaniment for swimming, diving, surfing and other watersports lovers at a depth of 40 m under water. The affordable camcorder is undoubtedly worth considering by people who love to record the changes that happen every moment due to its time interval support. 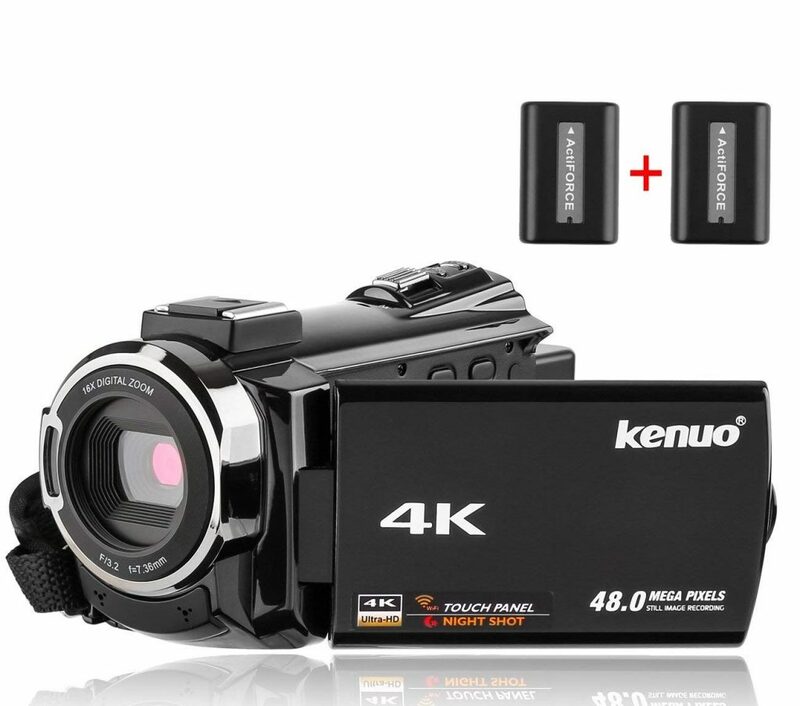 The Kenuo digital video camcorder has a 13 MP sensor with a 3” LCD touchscreen that can rotate at an angle of 270 degrees and has an aspect ratio of 16:9. 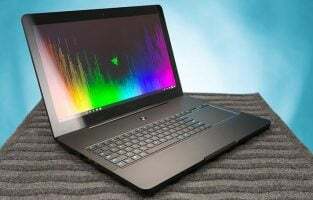 It also comprises a CMOS sensor, two memory card (TF/SD) slots with maximum 128 GB capacity, a dedicated IR button for night vision, a built-in microphone and AV and HDMI outputs. The unit records 4K, 2K, FHD and HD videos in different resolutions of 24 fps and 30 fps and captures 48 MP, 36 MP, 16 MP, 12 MP and 8 MP images in varying resolutions. The recording device encompasses various options for white balance, self-timer and shutter speed. 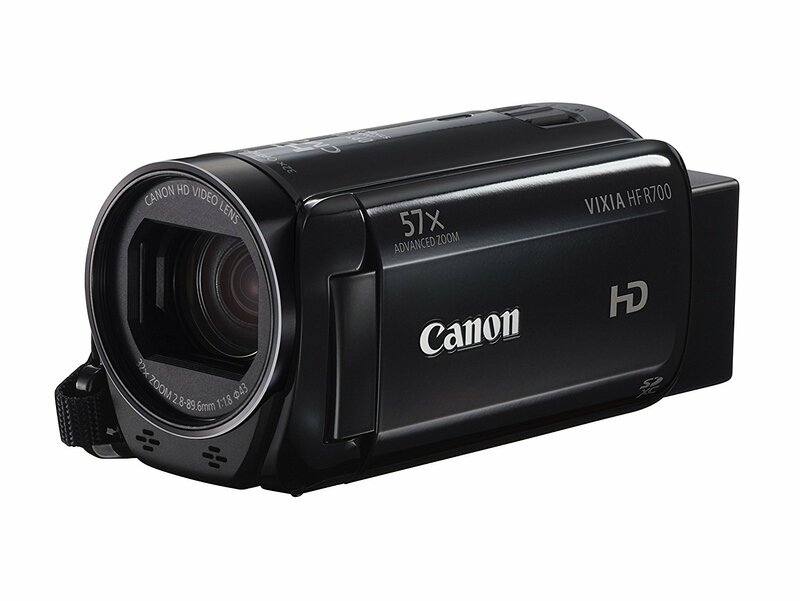 The camcorder features Wi-Fi support and 16x digital zoom. The black camcorder is compatible with Windows 98 SE / ME / 2000 / Vista / XP / Win 7 / Win 8 / Win 10 operating systems that have an Intel Pentium CPU of at least 42.8 GHz, minimum 512 MB RAM and a video card not lesser than 64 MB. It works with two lithium-polymer 2,500 mAh batteries that allow you to take photos and videos for 150 minutes and 90 minutes continuously. The device comes with a camera bag, a charger adapter, HDMI and AV/USB cables. The high capacity battery makes the unit an ideal option for those who want to enjoy capturing videos and images continuously for long hours. The recording device is highly recommended for those who want a camcorder that is easy to carry and operate at the same time. The handycam camcorder encompasses a 26.8 mm ZEISS lens, an Exmor R CMOS sensor, a 2.7” clear photo plus flip-out LCD display with 16:9 aspect ratio, an inbuilt USB cable for file transfer and an HDMI micro terminal. The Sony device features 8 GB internal memory, 30x optical zoom, 60x clear image zoom, optical steady shot image stabilization with active mode, XAVC S, MP4 and AVCHD recording face detection with noise reduction and voice enhancement, Wi-Fi / NFC2 connectivity and multi-camera control. The unit records Full HD 1920 x 1080 videos with 30p / 60p resolution and captures 9.2 MP photos. It creates videos in MP4 format from various clippings automatically using the Highlight Movie Maker function. You can also try out different preset picture effects for photos and videos and opt for live broadcasting with Ustream4 live streaming. 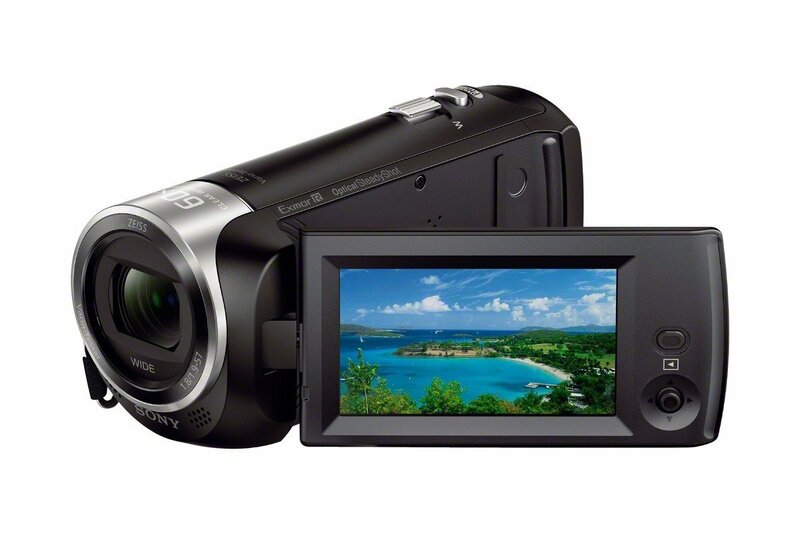 The Sony camcorder is ideal for people who are particular about sharp images for close shot videos and photos. The unit is worth checking out by those who would like to choose different settings to get the best results for their outdoor shots. The recording device is a good choice for those who want to do a lot of mix and match to their captures like giving a watercolor effect to a shot to make it look like a painting. The camcorder consists of a 3” capacitive touchscreen capable of rotating at 270 degrees, an IR-CUT light filter, an LED light, a USB 2.0 port, an external stereo microphone, a memory card slot for inserting a TF/SD card up to 128 GB capacity, a webcam with 0.39x super wide-angle lens and a 13 MP CMOS image sensor. The unit features IR night vision, Wi-Fi wireless transmission, remote view, ultra HD mode, face capture, motion detection and video sound support, date stamp, multi-language support, exposure compensation, and anti-shake. The device captures 48 MP (9212 x 5184), 36 MP (7936 x 4480), 24 MP (6340 x 3600), 16 MP (4640 x 3480), 12 MP (4608 x 2592) and 8 MP (3840 x 2160) images in JPEG format. 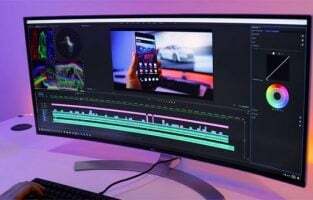 It also records 4K 2880 x 2160 @ 24 fps, 2K 2560 x 1440 @ 30 fps, FHD 1920 x 1080 @ 60 fps, 1920 x 1080 @ 30 fps and HD 1280 x 720 @ 60 fps videos in MP4 format. The Kicteck recorder supports multiple settings for loop recording, auto power-off and white balance. The lightweight black system works with computers functioning on Windows 7 / 8 / 10 / Vista / XP and Mac 10.2. The recording unit uses 2,500 mAh NP-FV5 rechargeable lithium batteries that work non-stop for 2 to 2.5 hours. It comes with a lens adapter, HDMI and USB cables, a USB charger and a reusable camera bag. The Kicteck camera has a simple design and suits the requirements of beginners. The date stamp feature makes the camcorder an ideal choice for those who would love to include the time and date in their captures to make them more memorable. The video camcorder integrates a 3.0 MP CMOS sensor with 1920 x 1080 resolution, a 2.7” 270-degree rotation LCD screen with 16:9 aspect ratio and a mini USB port. The device features 16x digital zoom and automatic exposure control. The recorder also has 128 MB RAM and supports SD/SDHC/MMC card slot for you to insert a memory card with maximum 32 GB capacity. It captures photos in JPEG format and videos in AVI format. The unit allows you to record videos in varying resolutions of 1920 x 1080 @ 15 fps and 1280 x 720 or 640 x 480 @ 30 fps. The black device works with a high capacity rechargeable NP-40 lithium-ion 1,200 mAh or 1,250 mAh battery that can work for 2 to 3.5 hours on full charge. It comes with a USB cable. The Kingear camcorder is definitely worth consideration by people who want a simple and affordable unit that they can mount on a tripod. The camcorder has a 2.7” LCD screen with 16:9 aspect ratio and 270-degree rotation, as well as a 3 MP CMOS sensor for its 24 MP video and digital camera, an internal microphone for the speaker, a mini USB port, a safety tether and a carabineer belt to fasten it. The device features 5x optical zoom, 16x digital zoom, face capture and beautification, USB charging, night vision, digital image stabilization and automatic exposure control. It supports up to 32 GB SD / MMC / SDHC memory cards and has 128 MB RAM. The instrument records 1920 x 1080 @ 15 fps and 1280 x 720 or 640 x 480 @ 30 fps AVI videos and captures 3264 x 2448 resolution videos in JPEG format. The black camcorder works with a Li-ion rechargeable high capacity NP-40 1,250 mAh battery that has a working life for 2 to 3.5 hours on full charge. It comes with a USB cable. 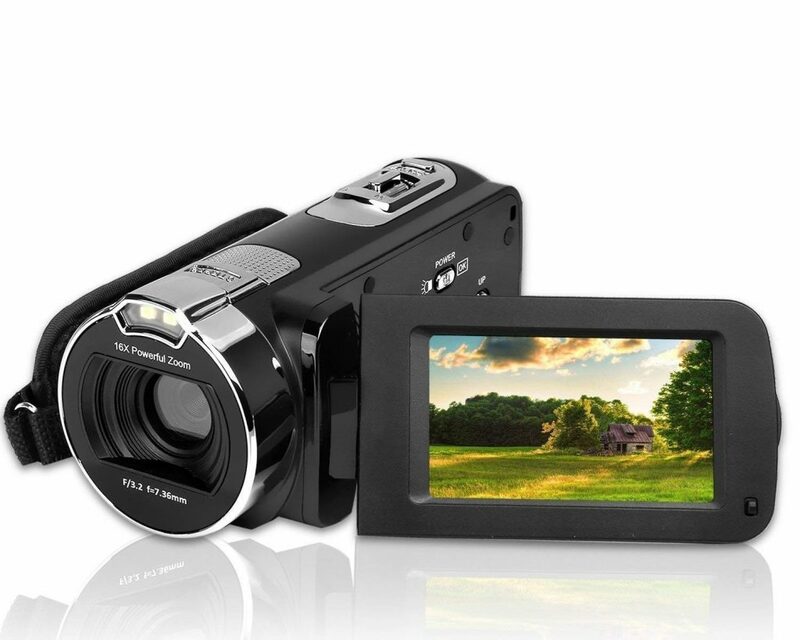 The camcorder is ideal for those who want to use it in any surrounding – home, outdoors and even in the car. The safety tether makes it a good choice for people who are apprehensive of the device being damaged due to an accidental fall from their hands. The carabineer ensures that the unit is worth considering by hikers who wish to fasten the same to their belt or backpack. 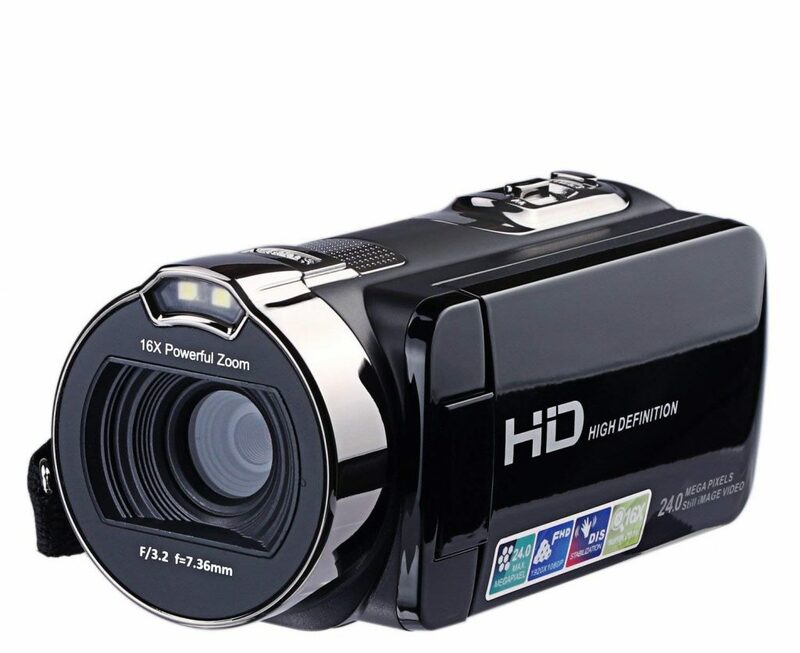 It is an HD video recording handy cam camcorder. This camera is able to capture HD videos of 1080p resolution. It supports optical zoom up to 30x. It comes with a 2.7-inch display for menu use, recording and watching recorded videos. CMOS technology is used for the functionality of the optical sensor. This tiny thing is able to capture videos of 1080p resolution. SD card can be used as a media storage device. It supports optical zoom up to a level of 32 xs. A handy 3 inches screen is provided for better and easy operations. CMOS optical sensor technology is used. Such features make it one of the best under its category. It is one of the cheapest cameras that fall under the category of cheap yet powerful. It is a 16MP digital video camcorder. Despite its cheapness, it supports resolution of up to 1080p. SDHC media storage technology is used to store the recorded video. 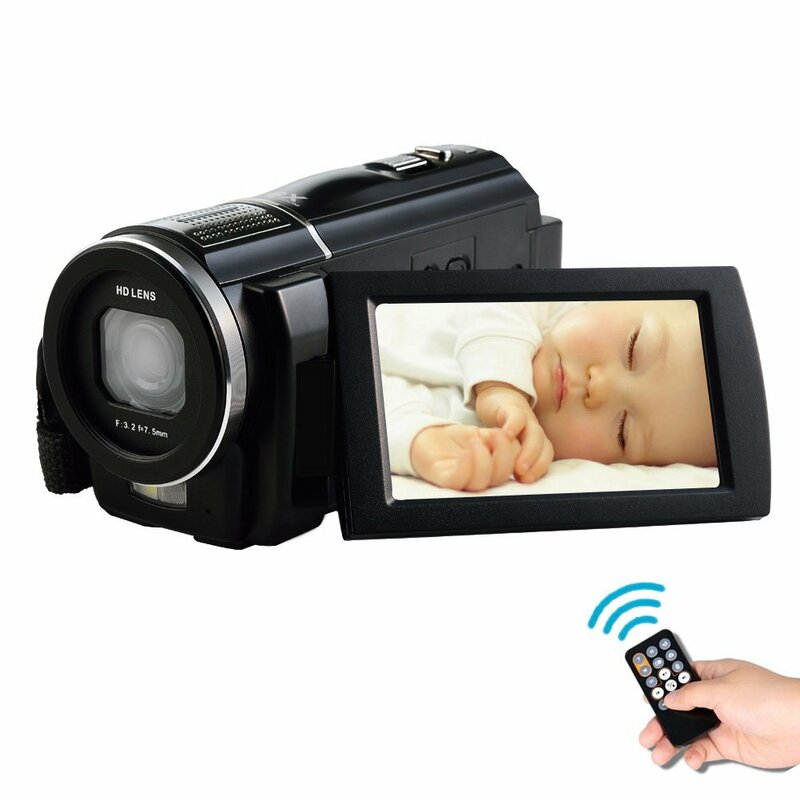 It is equipped with an LCD screen of 2.7 inches and is capable of capturing HD videos. Optical sensor operations are handled with CMOS technology. The most magnificent feature of this cam is the night vision support and wide angle support for macro fisheye shooting. A 24 MP lance makes it a powerful camcorder. Flash memory is used as a media storage solution. The zooming, however, is limited to 16.0 xs. Optical sensor resolution is 24 MP. A 3.0 inch LED screen makes the operation even easier. It is one of the cheapest night vision camcorders. This device offers many variations in video resolution according to the fps ratio. It can record full HD videos of 1080p resolution if fps (frames per seconds) rate is set at 30 frames per seconds. It can also record a 60 FPS video at a resolution of 720p. 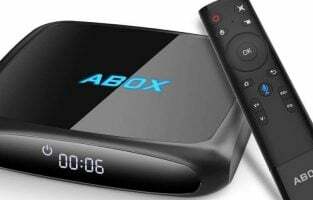 It is equipped with HDMI and Wi-Fi support in order for casting recorded videos to other devices. It uses San D card for media storage medium. It does not support optical zoom. However, it does not really matter since the camcorder comes with a night vision support and touchscreen LED display of 3 inches. It supports SD card up to 32 GB that is more than enough for a whole day use. One of the most powerful cameras that will cost you less than or somewhere near $300. It is capable of recording HD videos at a decent enough resolution of 720p. It supports optical zoom up to 52X! 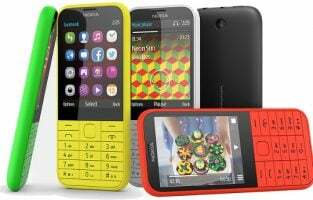 It comes with an LCD display for menu operations and playing videos, with a size of 2.7 inches. CMOS optical sensor technology is used in this device. Sadly, you will struggle a lot to find this camera on a sale with new conditions, since production is decreased (stopped in specific places) by the manufacturer / distributor. This camera is capable of recording HD videos of 1080p resolution. However, it supports reversed optical zooming of 0.1X. Media is stored in the MP3 medium. The display is wide enough of 3 inches that too with touch screen control and on-screen menu operations. CMOS optical sensor technology is used. 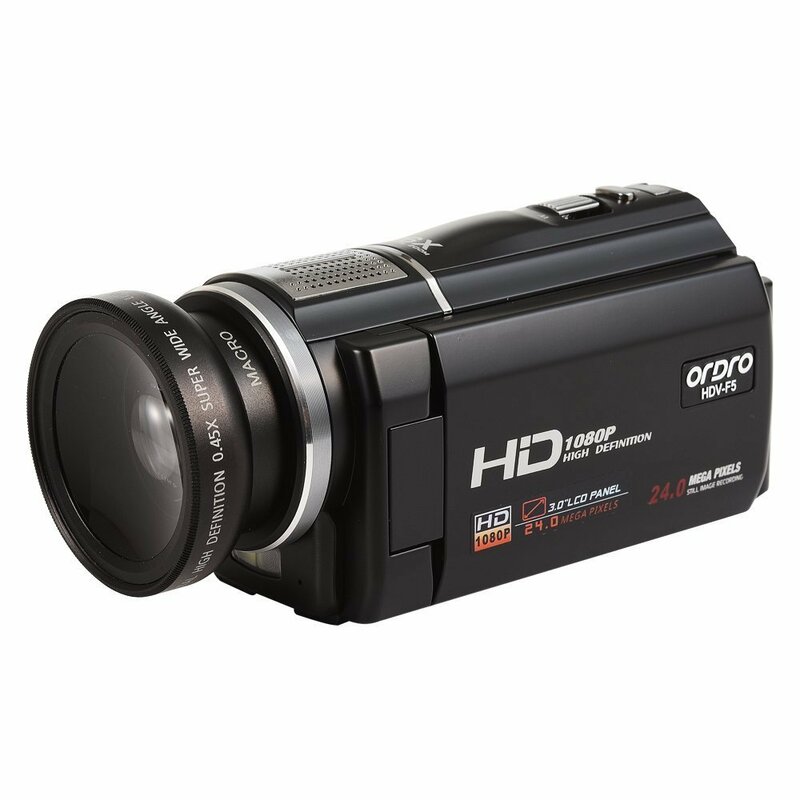 Most manufacturers offer you a range of camcorders with various features for the mentioned price tag. Sony and Canon are two such pioneers in this field and have many options to offer for their recording devices. While almost all camcorders may have a few common features, a few of them are best suited for specific purposes. 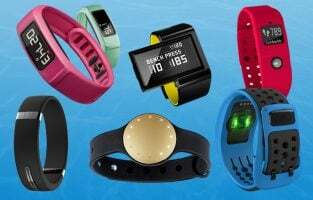 The price tends to get higher when the features in these devices increase. Therefore, it is advisable that you make a detailed study of the features of at least a few camcorders from different brands to determine which best suits your needs. This can help you get the most of your device and ensure that it is a true value for the money spent. 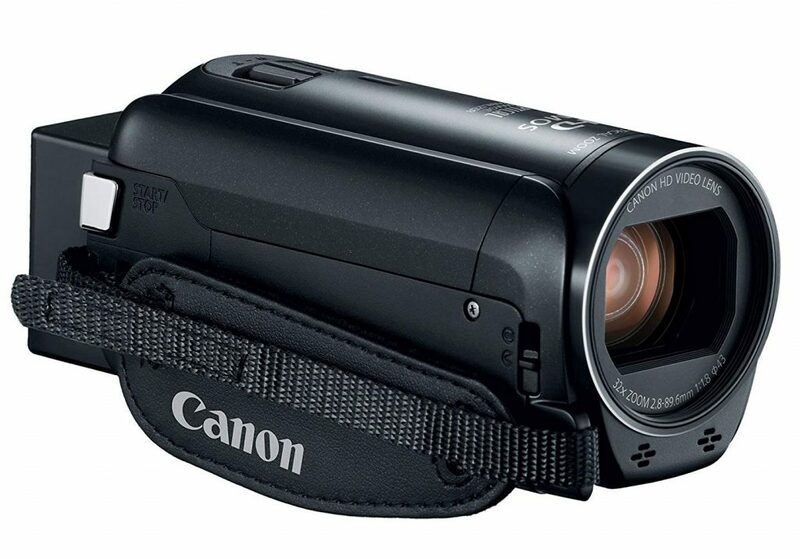 The list of the best camcorders under $300 to buy was prepared considering many aspects. We hope this list will help you a lot. Happy shopping!